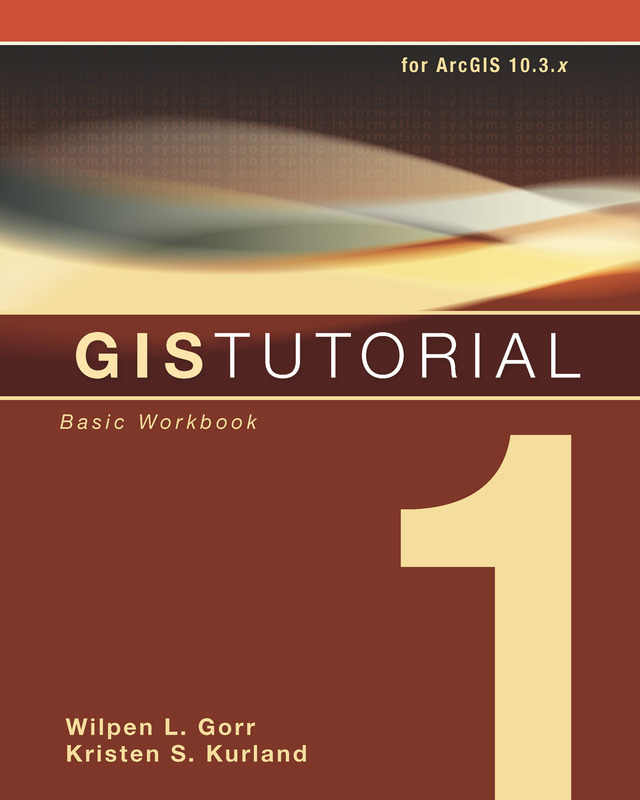 Redlands, California—The new edition of GIS Tutorial 1: Basic Workbook, published by Esri, teaches the fundamentals of using geographic information system (GIS) technology, including making maps, geocoding data, and analyzing spatial data. The workbook, updated for ArcGIS 10.3 for Desktop software and later versions, also includes a new chapter on how to use the ArcGIS Network Analyst extension to analyze street network data to help solve routing and facility location problems. "GIS Tutorial 1 is a hands-on workbook with step-by-step exercises that take the reader from the basics of using ArcGIS for Desktop through performing many kinds of spatial analyses," said the workbook's authors, Wilpen L. Gorr and Kristen S. Kurland. "Instructors can use this book for the lab portion of a GIS course, or individuals can use it for [independent] study." The book will guide beginning GIS software users as they learn basic skills such as designing various types of maps; building a file geodatabase; and conducting spatial analyses to determine, for example, where earthquakes are most likely to occur. GIS Tutorial 1: Basic Workbook is available in print (ISBN: 9781589484566, 462 pages, US$79.99) or as an e-book (ISBN: 9781589484641, US$39.99). The book is available at online retailers worldwide, at esri.com/esripress, or by calling 1-800-447-9778. Outside the United States, visit esri.com/esripressorders for complete ordering options, or visit esri.com/distributors to contact your local Esri distributor. Interested retailers can contact Esri book distributor Ingram Publisher Services.